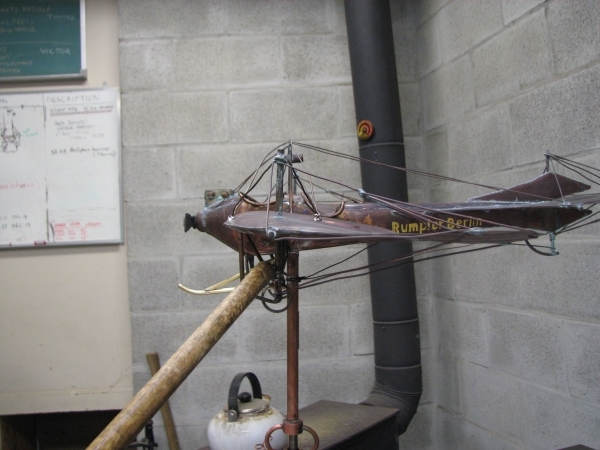 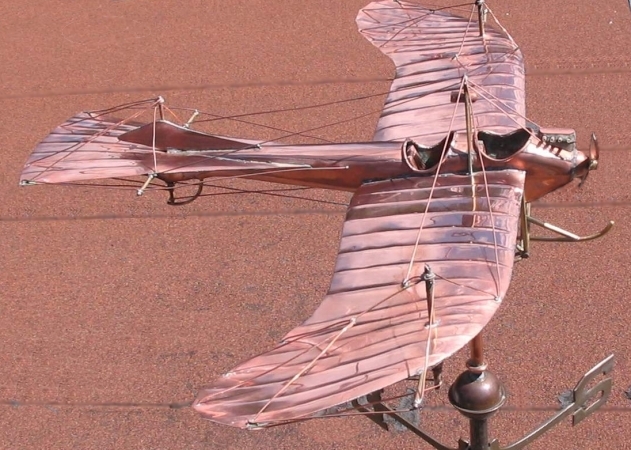 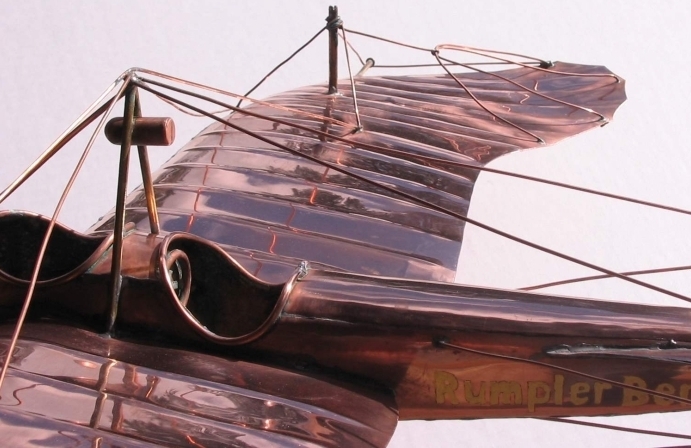 This Etrich-Rumpler-Taube Weathervane was a delight for us to construct. 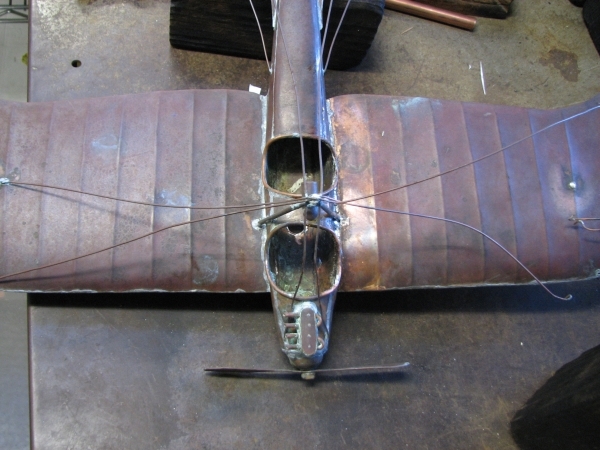 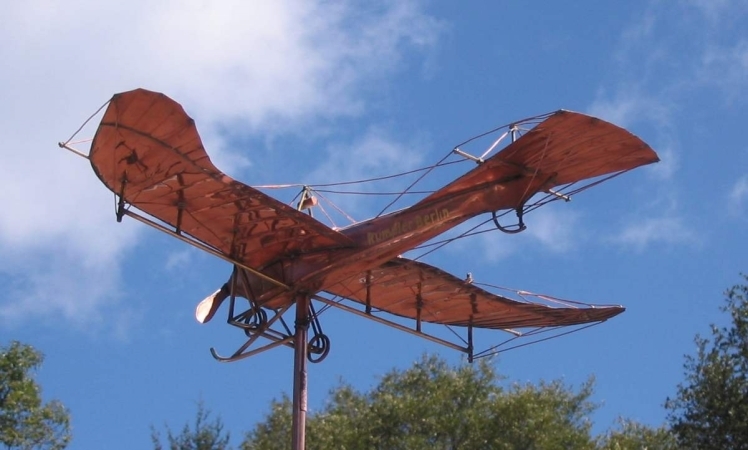 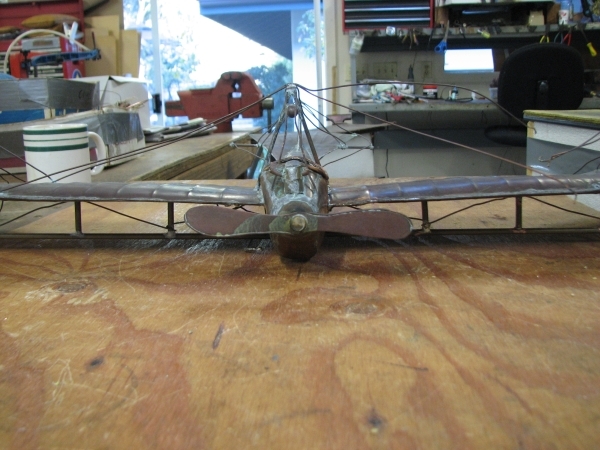 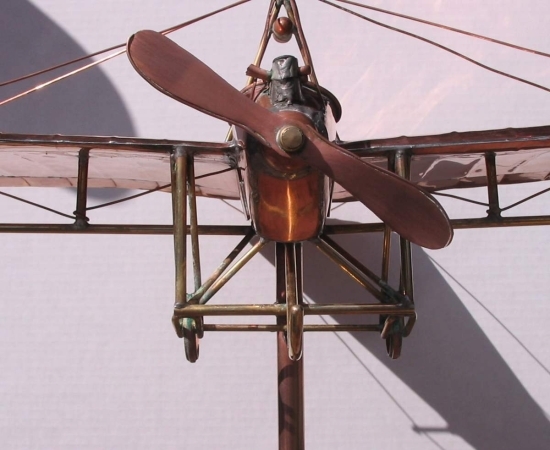 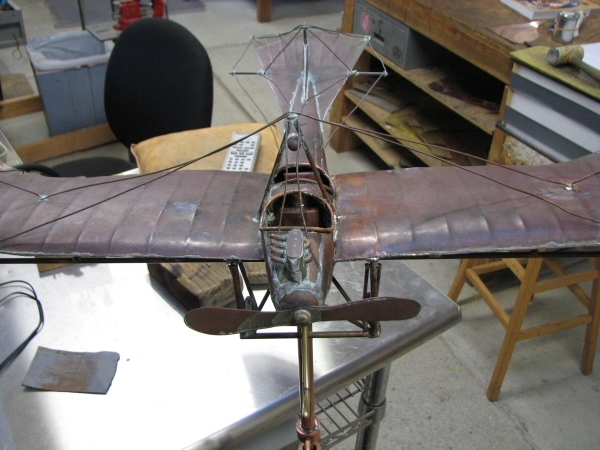 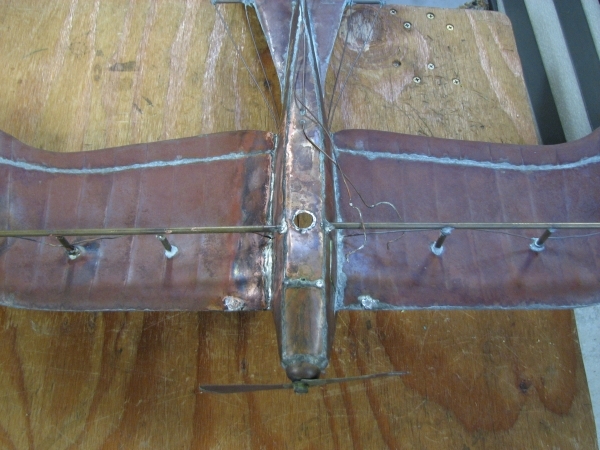 Our customer requested a near exact replica to this vintage plane’s original design. 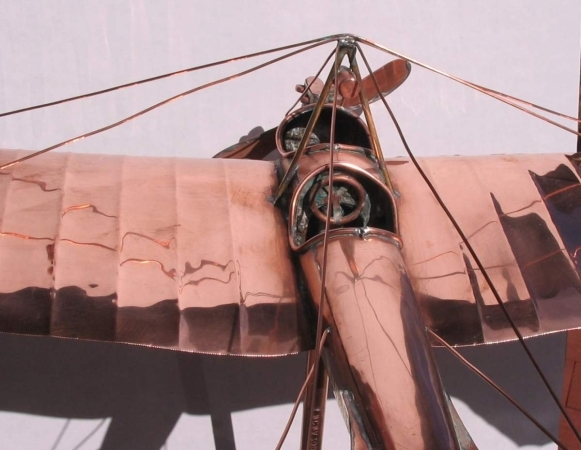 It was considered the very first stealth aircraft, with translucent wings that made it difficult to identify at over 1000 feet. 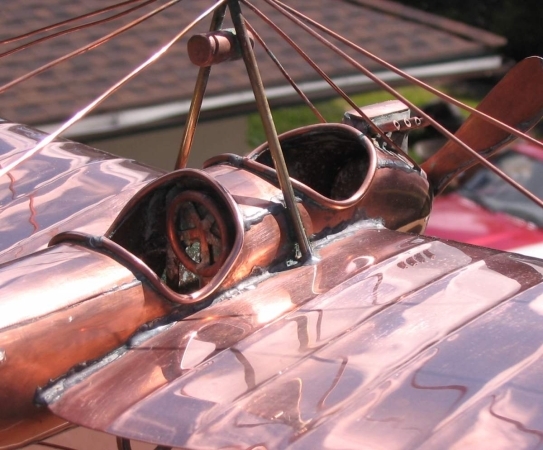 We replicated the entire craft in copper, and full bodied style, for strength and durability. 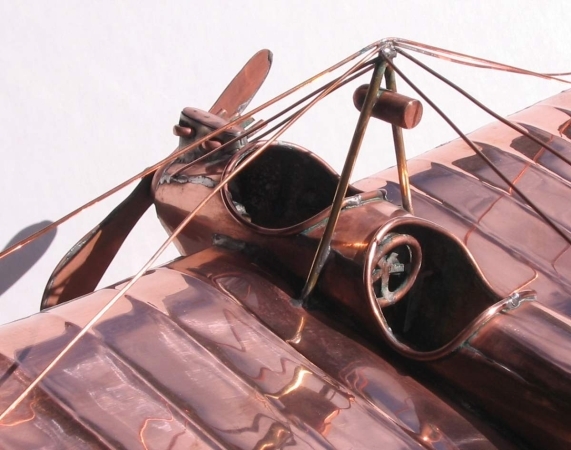 Also requested was the name of the craft in optional gold leaf on the side. 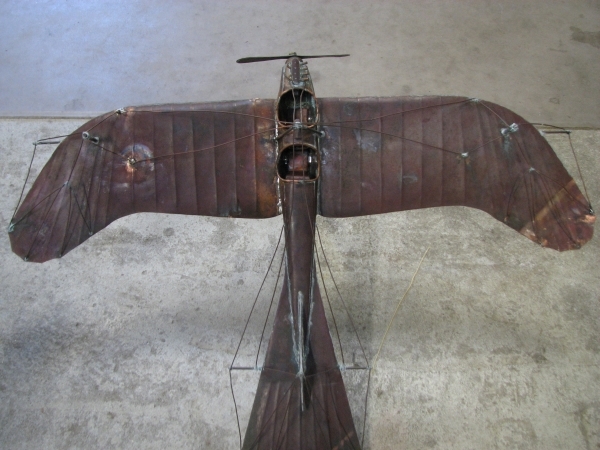 The Taube was designed in 1909 by Igo Etrich of Austria-Hungary, and first flew in 1910. 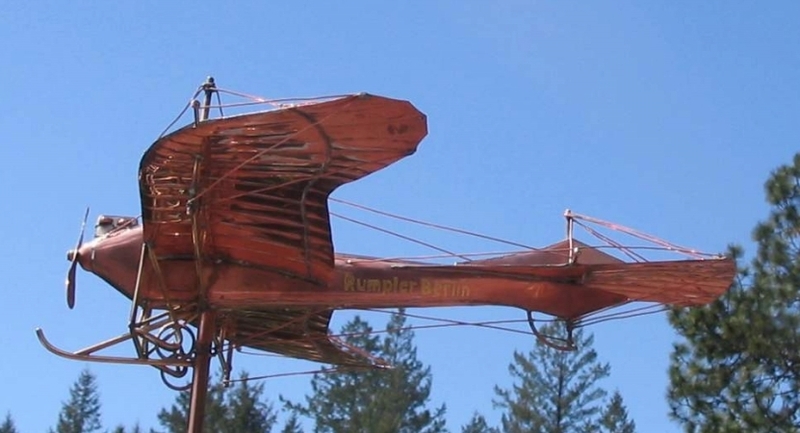 It was licensed for serial production by Lohner-Werke in Austria and by Edmund Rumpler in Germany, then called the Etrich-Rumpler-Taube. 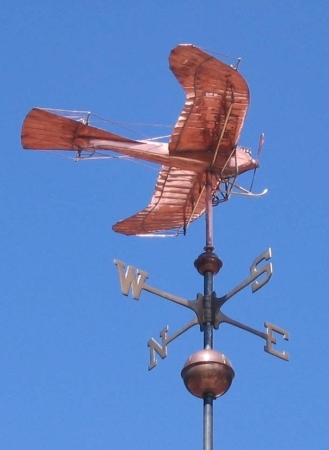 It is the Taube’s tail that is modeled after a dove (taube is German for dove or pigeon). 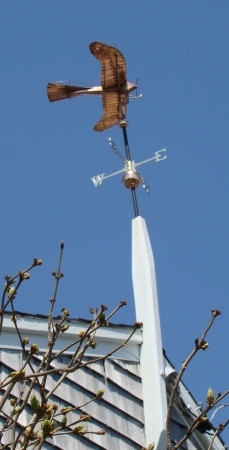 The unique wing form was copied from the seeds of Zanonia macrocarpa, which float to the ground in a slow spiral caused by a single ‘wing’. 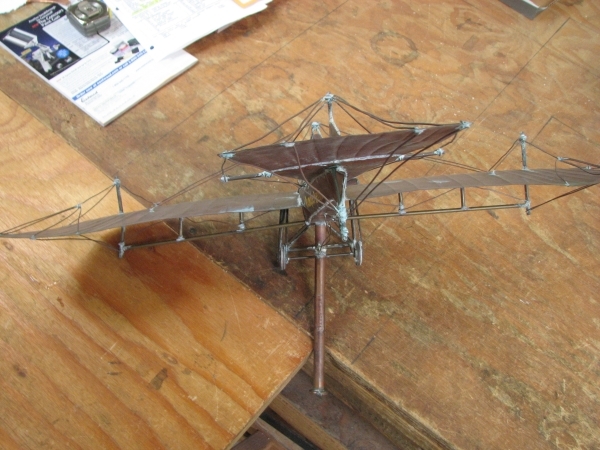 Similar wing shapes were also used by Karl Jatho and Frederick Handley Page. 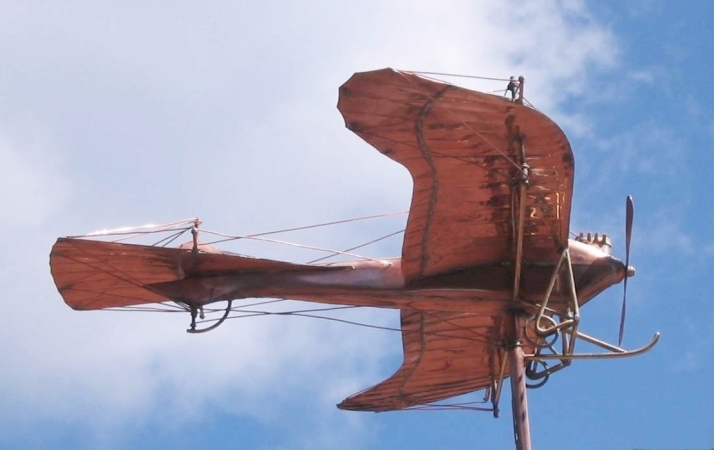 Etrich had tried to build a flying wing aircraft based solely on the Zanonia wing shape, but the more conventional Taube type, with tail surfaces, was much more successful. 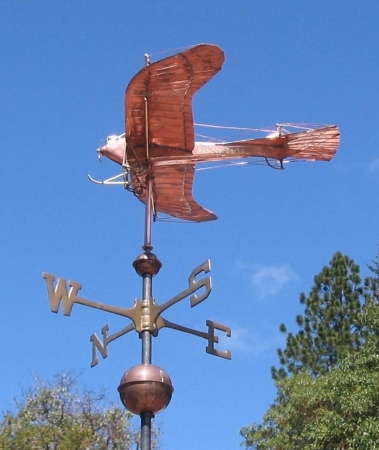 Most of our aircraft and bird weathervane designs include a security device attached to the mounting tube to prevent them from literally taking flight in strong winds.